Harnessing nature’s most powerful skin healer, Organic Hot Spot Oil for Dogs features Organic Jojoba Oil. Natures answer to raw skin, infections and rashes, this all-powerful ingredient has been shown to heal and regrow hair in as little as three days. 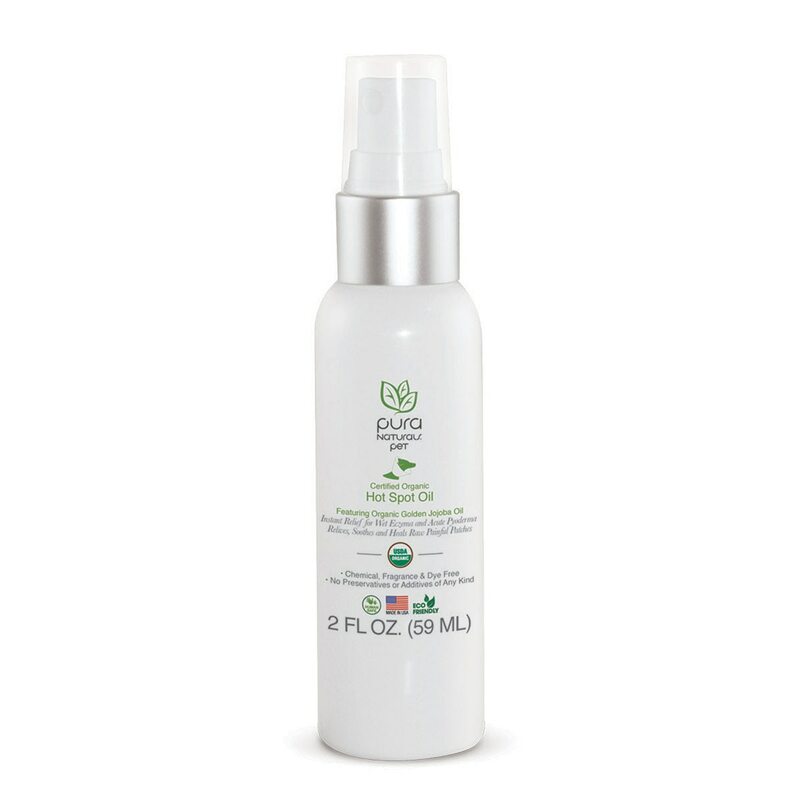 Our Hot Spot Oil is great at calming insect bites and provides instant relief for Wet Eczema and Acute Pyoderma. Simply spray and leave on for lasting soothing and relief.